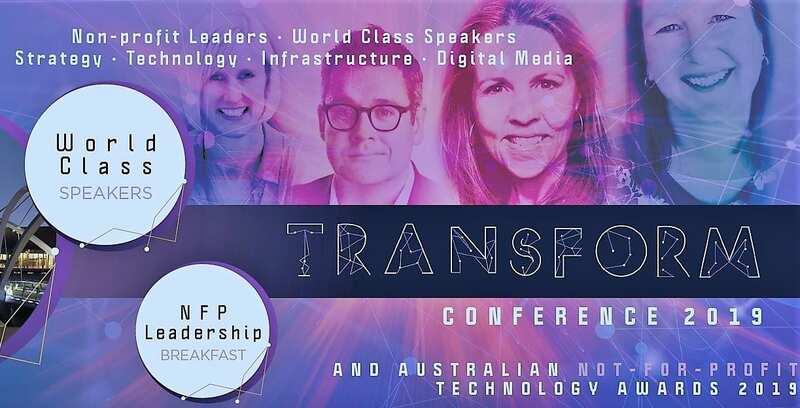 Artificial intelligence, machine learning, digital strategy & infrastructure, IT security, fundraising, digital marketing, technology awards, leadership breakfast and a 35-stand Technology Expo feature at the Transform Conference 2019. Sign up now! 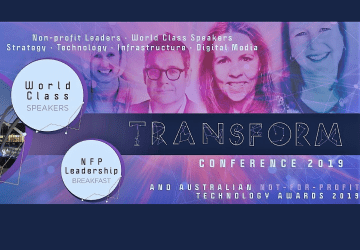 With tickets selling fast and early bird discount ending on 28 February, time is running out for Australian nonprofits to secure a 25% discount for the Connecting Up Transform Conference at Melbourne Convention and Exhibition Centre (MCEC) from May 8-10. Australia’s premier nonprofit technology conference, with a strong complementary focus on philanthropy, fundraising, marketing and social media, Transform 2019 will see world-class speakers and nonprofit sector leaders converge on MCEC for master classes, panels, plenaries, 35-stand non-profit technology expo, Australian Not-for-Profit Leadership Breakfast and the 2019 Australian Not-for-Profit Technology Awards gala dinner. Australian Council of Social Services (ACOSS) CEO Cassandra Goldie and Community Council for Australia (CCA) CEO David Crosbie will be among the senior nonprofit figures joining experts of the calibre of IBM Watson’s Jodie Sangster, Microsoft Chief Technology Officer Erik Arnold, Melbourne Business School’s Mark Ritson and Australian Centre for Philanthropy and Non-Profit Centre researcher Dr Ruth Knight. From Artificial Intelligence, to Machine Learning, to Digital Strategy and Infrastructure for Transformation, to the Future of Philanthropy, to Digital Security, to Grant Writing in the 21st Century, to Busting the Overhead Myth, Transform delegates will have unparalleled access to the speakers, skills and technology they need to digitally transform their organisations. Building on rave reviews following Connecting Up’s Digital Flightpaths Conference in Brisbane last year, Transform 2019 delegates will also enjoy a significantly improved technology experience thanks to a new Technology Partnership with this year’s event builder Cvent that will see the introduction of self-registration booths, a new interactive conference app as well as a customisable QR Code lead capture app for exhibitors. 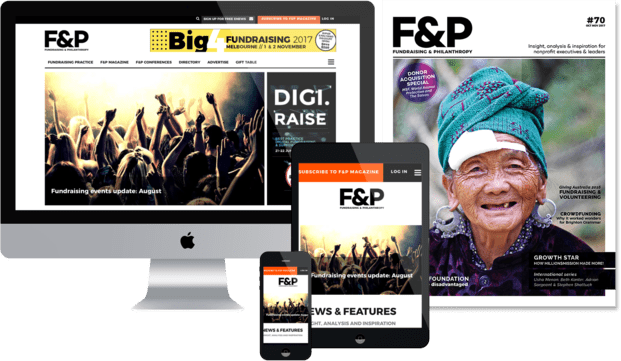 Meanwhile, a flexible approach to registration in 2019 will allow delegates to create a personalised conference experience to suit their needs (and budgets), with everything from one-day passes to three-day Complete Conference Experience packages available.